In a stockpot over medium heat, saute the onions and garlic with the olive oil, oregano, salt, and pepper until the onions become translucent, about 10 to 15 minutes. 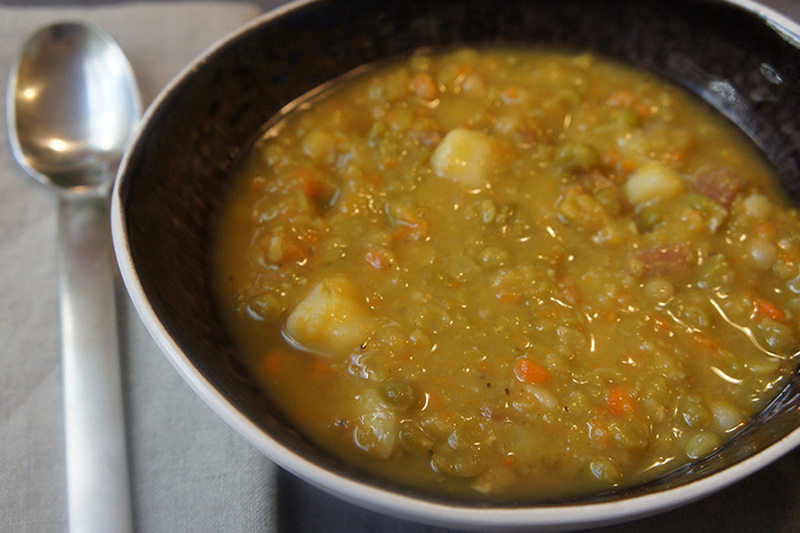 Add the chopped carrots and potatoes, 1/2 pound of split peas, and the vegetable or chicken stock. Bring to a boil, and then lower to a simmer. Simmer uncovered for 40 minutes. Skim the foam off the top while cooking. View the original instructions on the Food Network website.